As the owner or lead agent of your team, you now have team members that can act as buyer’s agents, partners, and listing and buyer specialists, and maximize the overflow of leads that your machine generates. Are your team members participating in the growth of your team, or waiting for you to continue to give them leads? 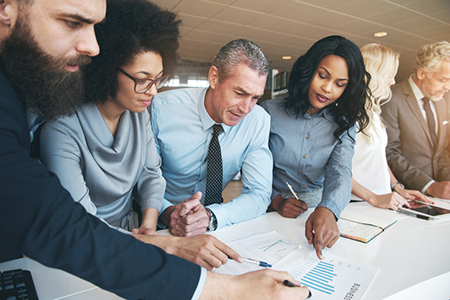 As the leader, you can help them tap into their SOI and increase their sales skills so they are generating leads and driving more business to the team. Also, they need consistent follow-up on the leads you are giving them, since not every lead is ready to go. This isn’t just a one-way street of you feeding them leads—many team leaders I coach express to me that they would like to be able to continually “feed” agents on their team with leads, but, with inventory tight, everyone on the team should also be contributing to generating some of their own business, as well. Have a weekly team sales meeting. This builds energy and gets everyone focused on daily sales activities and creates a cadence of accountability. This meeting also builds synergy with your team to share new listings or buyer needs with each other and creates a fantastic culture and loyalty to the team. Have each member build a pipeline of leads and check in weekly on status. Ask each member to update you on leads and stages. Where do they need help converting leads into an appointment or to make an offer? Do the buyer leads all have preapprovals? Can you get a listing appointment from some of the listing leads that are in your pipeline? You may already have buyers in your team’s inventory to match potential listings with, and you can sell these listings within your own team. You may know the words to give them to convert a lead. Have them hold the right open houses and teach them to convert the leads into listings. Make sure they are prepared and pre-planning their Sunday opens so they are sitting at the high-demand listings, where the most number of buyers will be that have a house to sell, so they are getting two sales from each client. Incentivize your team members with goals and rewards. Have your monthly team goals set and communicate them each month. Have each team member commit to you the total number of listings and sales for the upcoming month based on their pipelines. Reward your agents when they hit their goals with a special event, party, trip or special, public recognition. Cash rewards, gift cards or fun incentives work, too, and create an atmosphere of enjoyment for everyone. Larger rewards for team members and staff can be done quarterly, as well, incentivizing everyone, because when these goals are hit, we all win and succeed. An annual or quarterly bonus for staff to help in generating new business is always a great way to show appreciation and provide a financial incentive for their work and commitment to the team’s goals. Sherri Johnson is a national leader offering world-class real estate keynotes, consulting and coaching while delivering accelerated results. No other coach matches her distinguished 20 years of experience as a top agent and executive of a Top 3 National brokerage. She has recruited, trained and coached thousands of agents, and was responsible for leading over 700 real estate agents and over $1.6 billion in annual sales volume. Johnson’s relevant, real-life and proven strategies, coupled with her high energy, produce immediate results and can triple your income regardless of your current production. Johnson is a national speaker for Homes.com for Secrets of Top Selling Agents tour. Contact coaching@sherrijohnson.com or 844-989-2600 (toll-free) or visit www.sherrijohnson.com.